Ludovic is a composer who spent his youth in the north of france, learning music-making with computers (Commodore 64 and Amiga). After releasing a couple of techno/house 12 inches on small labels, he signed an artist contract with french label F-Communications on 1997, releasing three EP’s, then followed by a LP (“Newcomer”) on 2001. The album’s huge success (more than 170.000 copies sold) leads him to stages around the world, touring for more than 3 years with musicians and singers, performing live in famous festivals (Montreux, Nice, Vienne, Den Haag, Les vieilles charrues) and in prestigious venues. 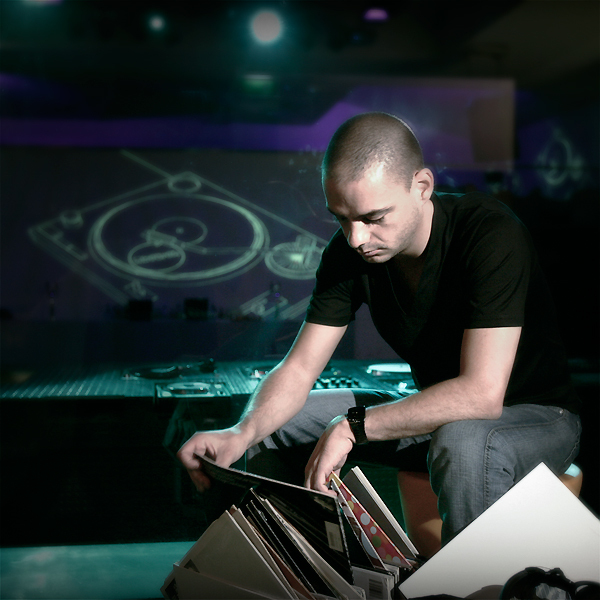 After releasing a mixed compilation (“My playlist”) for Wagram Records in 2005, covering a wide range of musical genres, Ludovic focuses on remixing, working for respected labels such as 2020vision, Freerange, Compost Black Records, Brique rouge, Music Man, Chez Records, to name just a few. His efforts being rewarded by high-quality compilations licenses (Fabric 33) and critical acclaims : “The recent Art Of Tones release featured an awesome remix from Llorca which probably was our favourite 2020 release of the past year. Llorca is now given the almighty 2020 Soundsystem to remix and he comes up trumps with another sterling remix” (Phonica). Contacted by french dj and producer Claude monnet to join the Back To Fundamentals’ compilation stable, Ludovic releases the track under a new pseudonym (“Miamik”). ‘Insatiable’, featuring female singer Tanya Michelle, reaches 8000 downloads in a couple of months. The track quickly becomes a House anthem and is featured on many compilations, including Defected’s Winter Miami Conference official compilation. Ludovic is currently working on a second Llorca album, and while he choosed his family name as an artist-alias, he also uses different monikers for several various projects. One of them is the Art Of Tones Project, that started as an exclusive moniker for 2020vision records, and is Ludovic’s most electronic and edgy project. After a couple of followed releases, ‘Praise’ becomes one of 2007’s track, receiving positive feedbacks from big-name dj’s and license requests for a plethora of brilliant compilations : Xpress 2 for NRK’s coast to coast, Francois K for Ministry Of Sound’s Masterpieces, Renaissance Masters serie.